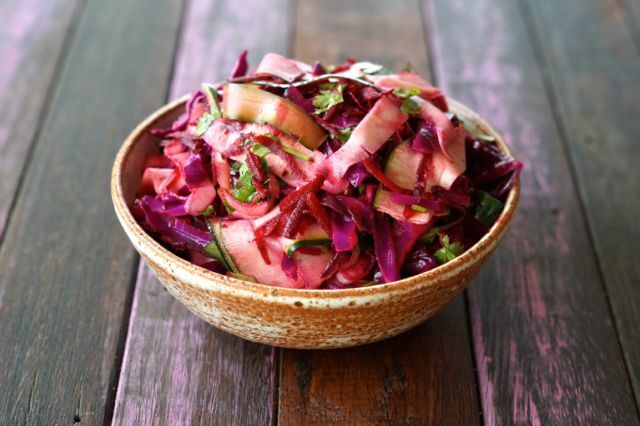 Beetroot and Zucchini Salad Recipe. Hands up if you LOVE vegetables?! We know you’re all putting your hands up like crazy, right? Right! Ok! 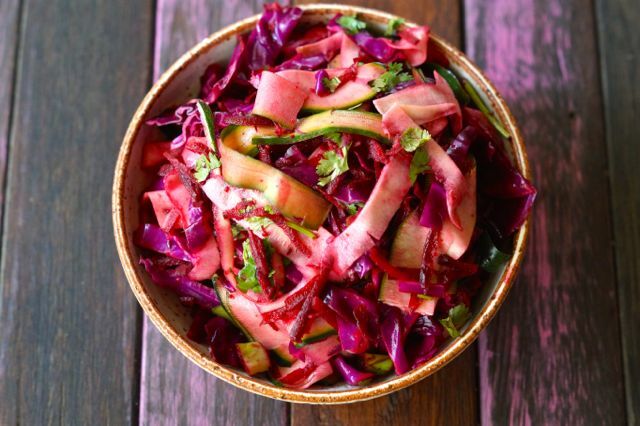 If that’s you then this beetroot and zucchini salad is for you! Super quick and easy to put together and would go perfectly with some crispy pork belly, slow cooked beef cheeks or even our crusted lamb rack recipe! We have health dinner covered, yes we do! What’s your favourite veggie? Leave us a comment on this post and we’ll make sure to use it soon! Simply place all ingredients in to a large bowl and mix together until combined. You really can add anything to this salad! Cherry tomatoes, cucumber and you should DEFINITELY consider adding an avocado! Delish!